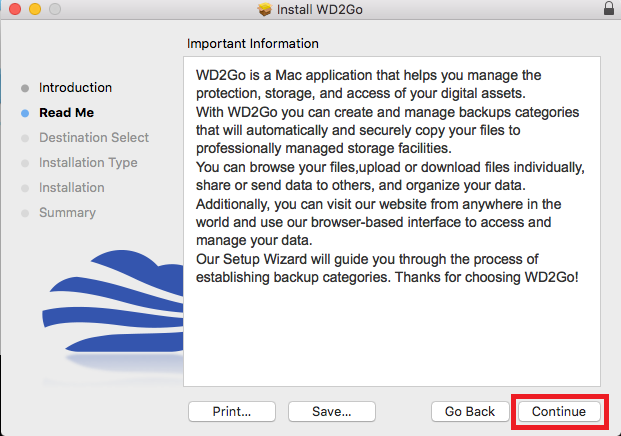 Please see the following articles to learn more about setting up automatic backups, hardware encryption and diagnosing the drive. 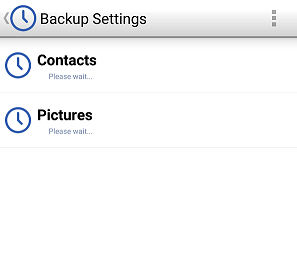 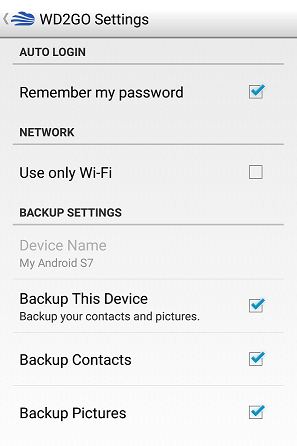 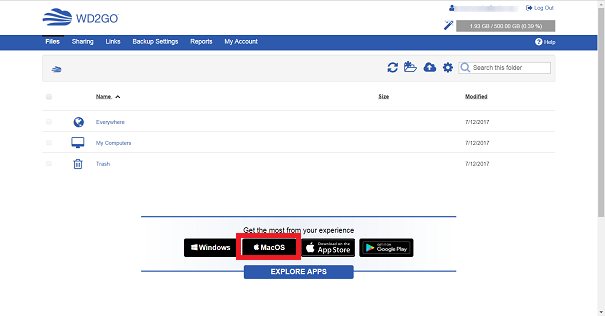 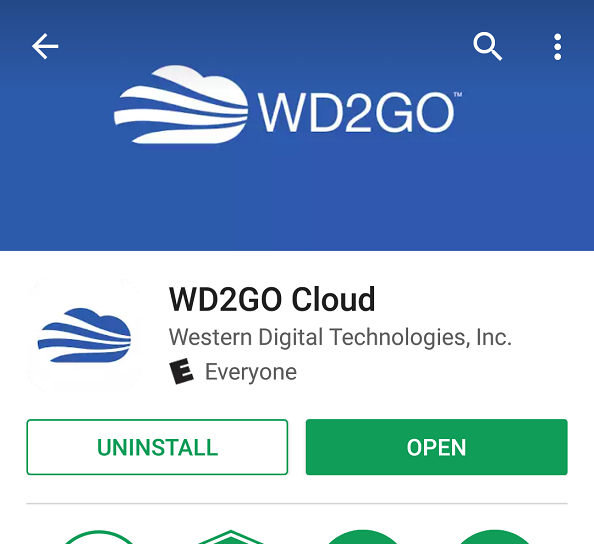 WD2Go™ Cloud allows files and folders to easily be selected to be securely backed up to Cloud servers with the option to "Add to Backups"
*Valid for new WD2GO™ Cloud storage accounts in conjunction with select My Passport and My Book products purchased through Best Buy after June 26th 2017. 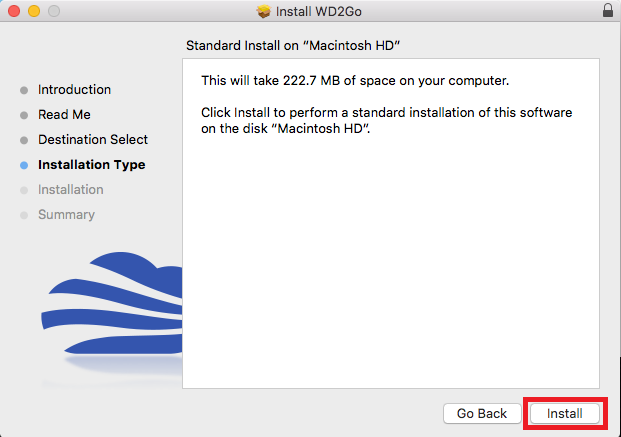 Requires installation of WD Discovery software on your PC or Mac to verify eligibility for this offer. 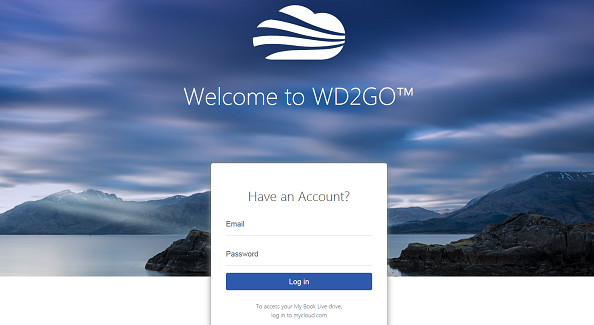 Offer includes 500GB of WD2GO™ Cloud storage for one year after account creation. 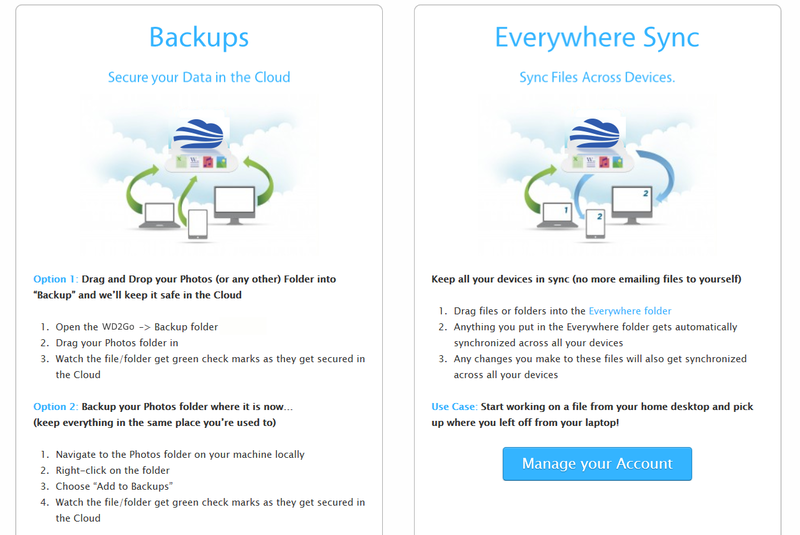 Upon expiration, you may either: (a) activate a subscription plan (starting at $9.99 per month for 1TB of cloud storage, as of June 26, 2017) or (b) download all of your content within 30 days of expiration and deactivate your account. 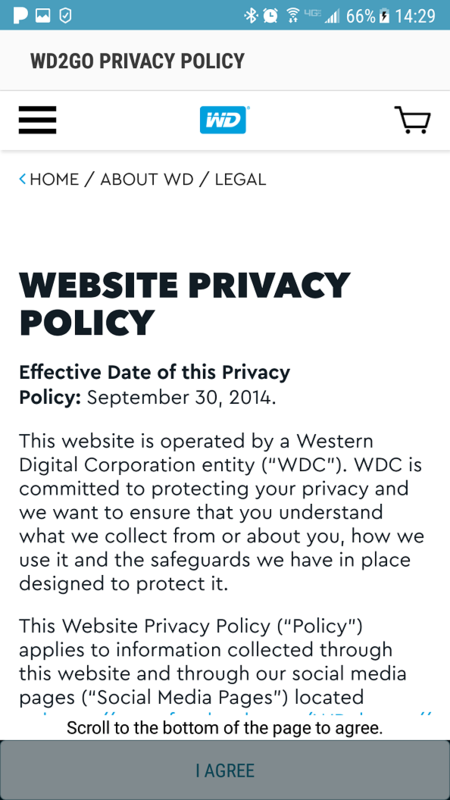 WD reserves the right to change or discontinue these terms at any time without notice. 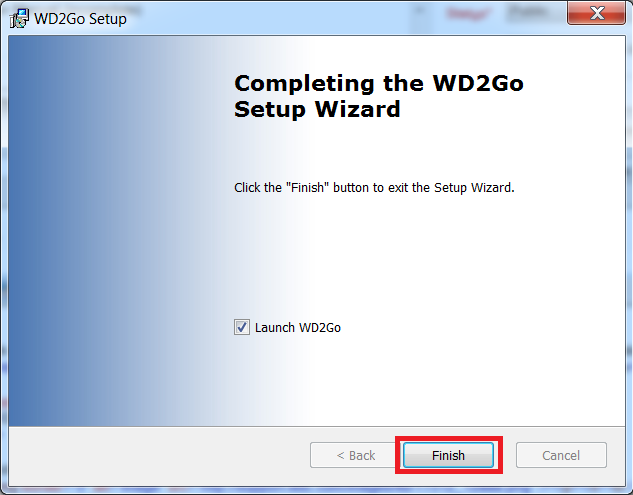 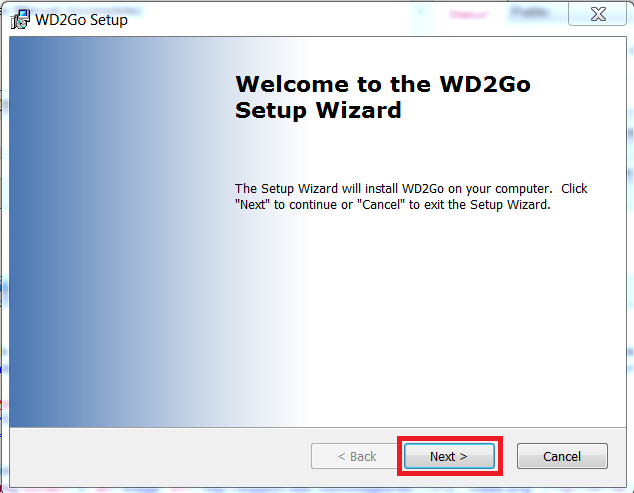 To see the "Start Using WD2Go.pdf", please click here. 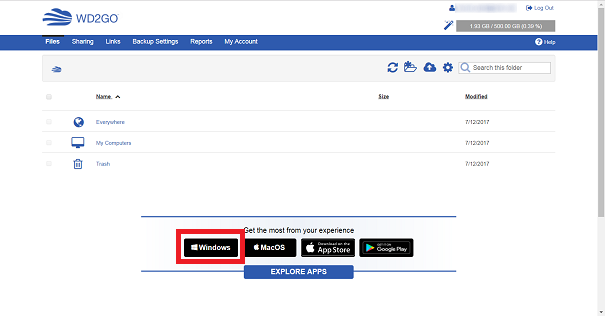 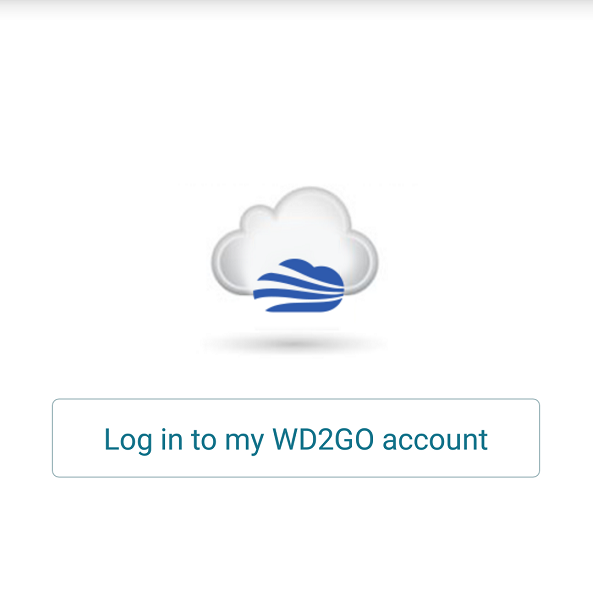 Click on the Get Started button in the WD2Go™ Cloud link in the Devices section of WD Discovery. 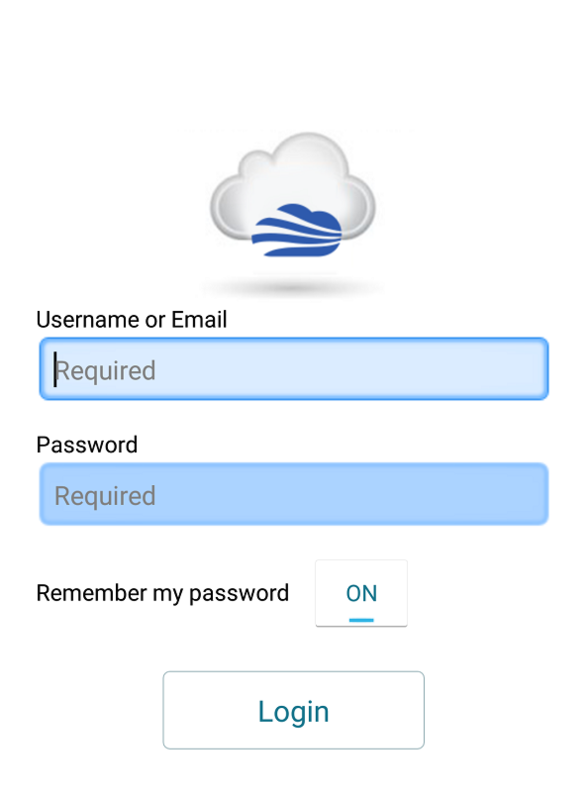 Enter a username and password, then click Log In. 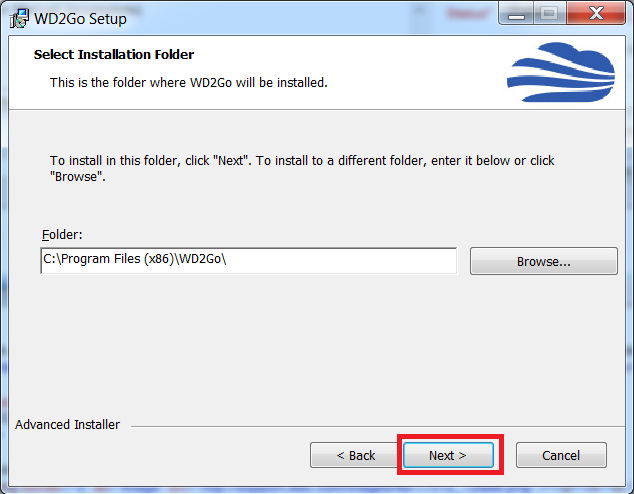 Click the Windows button to download the installer file. 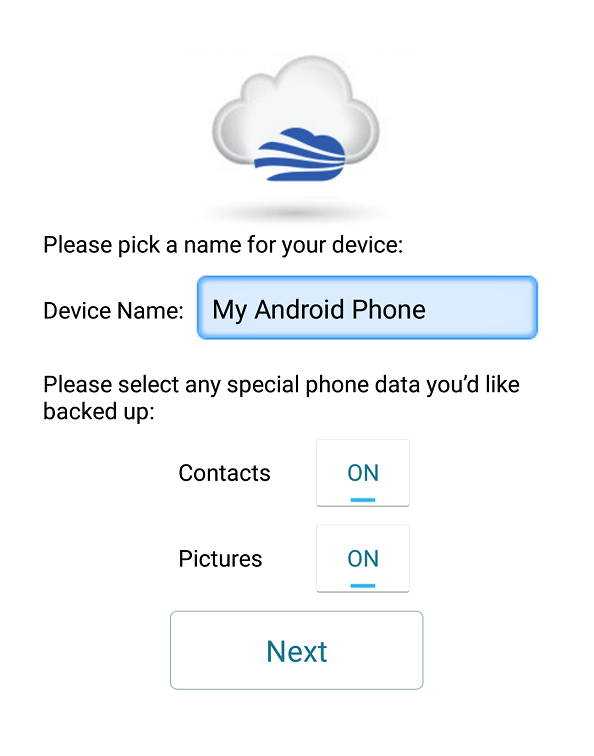 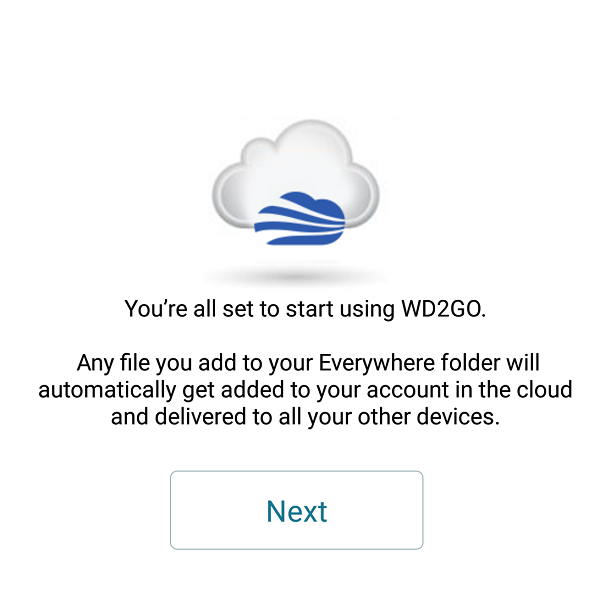 The WD2Go™ Cloud Storage software is available from the Devices section of WD Discovery. 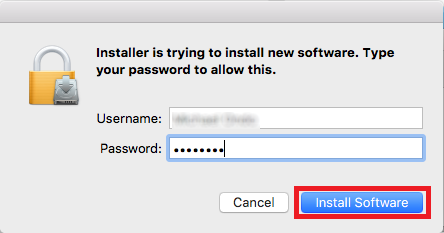 If prompted with a User Access Control pop-up, please allow the installation. 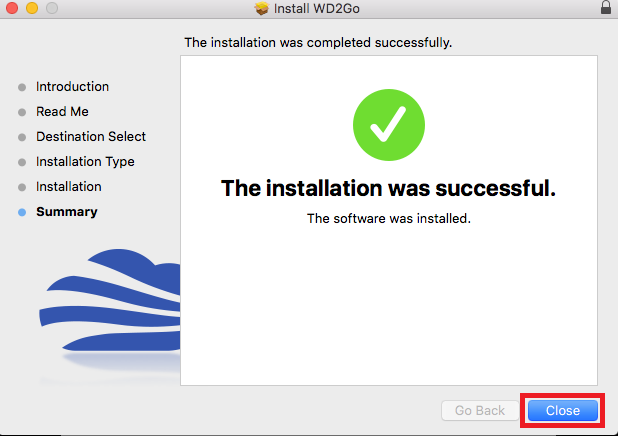 WD2Go™ Cloud currently supports the My Passport, My Passport for Mac, and My Book drives purchased from a Best Buy store only. 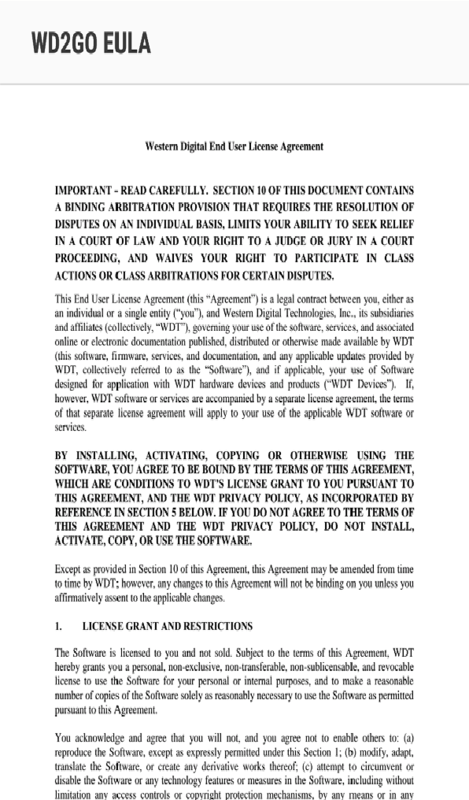 Important: * WD easystore device was included in a limited promotion that has expired. 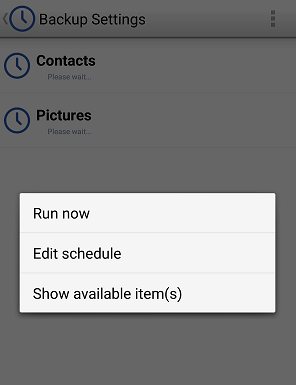 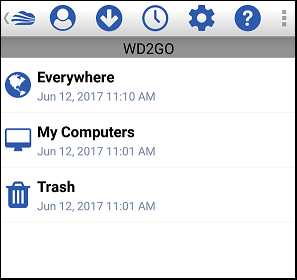 The following flow shows screenshots from the Elephant Drive mobile app, but are the same for WD2Go™ Cloud. 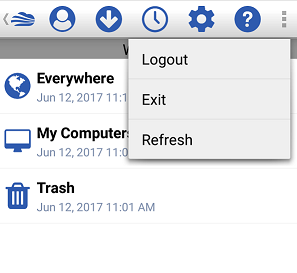 These will be replced with the WD2Go™ Cloud screenshots shortly. 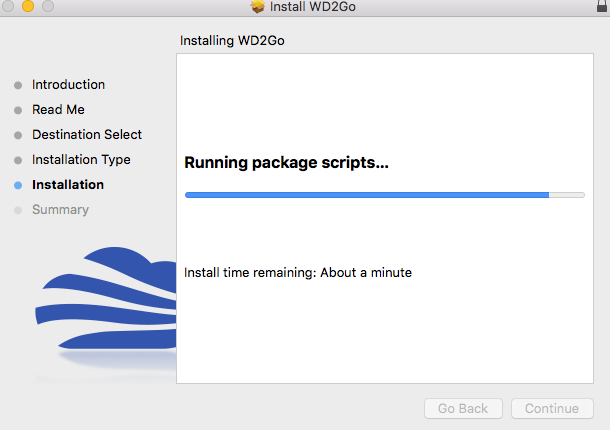 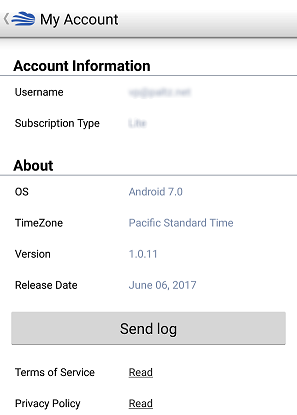 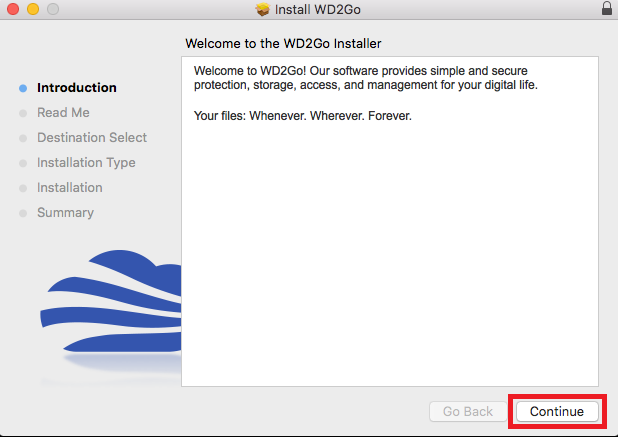 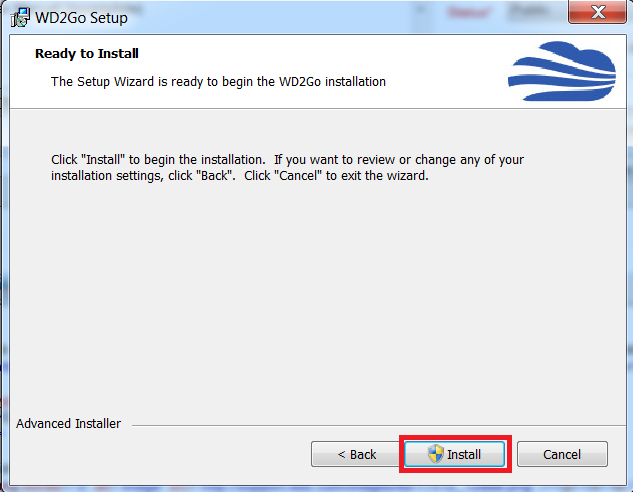 WD2Go™ Cloud has been completely uninstalled and removed. 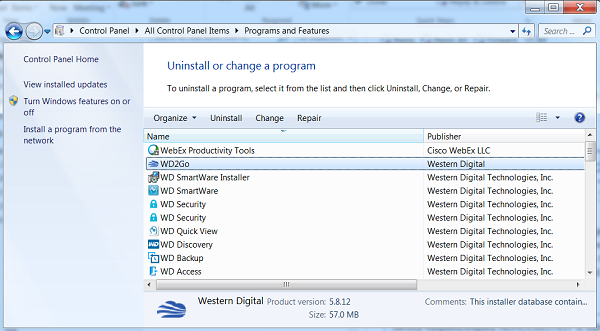 We recommend rebooting the computer. 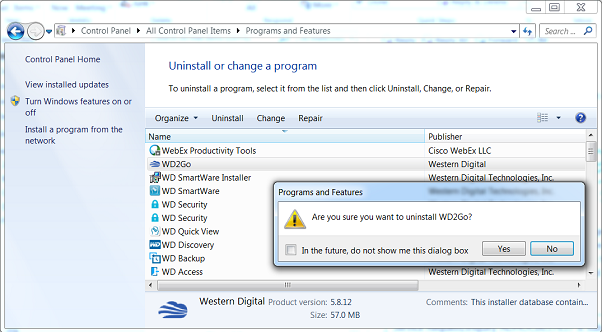 There is no uninstaller app.